This past weekend my family and I took a day trip to St. Louis, which is a four hour drive both ways. 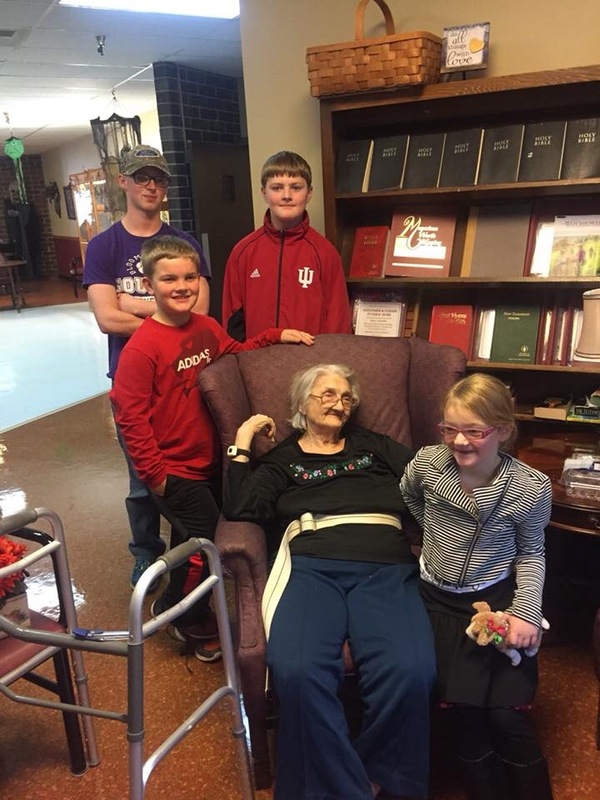 Several days prior to visiting my grandmother, she had been unexpectedly placed in a nursing home facility. As we drove home that evening in the quiet darkness of the night, I was left to process my deepest emotions, feelings, and fears. The day was especially difficult for me, as it felt like I was on a long and overwhelming emotional roller coaster. My grandmother was my greatest support person throughout childhood and the reality of the present situation was almost unbearable. Driving away with my grandmother’s heirlooms in the back of my family mini van was entirely too surreal. As my husband drove in the darkness of the night and my children quietly watched a movie; The suppressed emotions of the day bubbled up to the top. The heirlooms filling my back hatch were special; Personal belongings she’d always wanted me to have. In fact she had encouraged me to retrieve the majority of the items years in advance, but something deep inside refused to allow me to remove cherished items from her home. It was as if taking the items, in a strange way meant, saying “goodbye”, which I fought with every fiber of my being. This trip was complete with overwhelmingly mixed emotions, as I fought back tears the entire day. Driving away with my grandmother’s special possessions, I was hit with this sudden realization. Each of the items were only special, because she was special! And because… I was special to her! The antique sewing machine, photos, picture frame, dolls, and each unique novelty only held value.. for one reason… because she was special. Each item brought cherished memories. In all honesty the possessions I drove away with, had little monetary value, but the personal value… invaluable. My dear husband drove along on the interstate, in the pitch black night, as my children remained unusually quiet. Throughout the day my children were respectful, kind, and empathetic; completely aware that this particular day was quite difficult on their momma. Driving in the quiet blackness of the night, the emotions began pounding within my chest. Eventually the overwhelming emotions of the day, succumbed to weeping, as the memories of past days flooded my heart and mind. Not to mention the overwhelming guilt and sorrow I experienced, as I walked away and left her in a nursing home. This thought seemed to haunt me the most! In the quiet blackness of the night, with the sound of diesels and vehicles whizzing past us, I began to process the events of the day. The awful memory hit me like a bolt of lightening, “She didn’t remember me!” Although, only for a moment; the stab of anguish remained; she didn’t recognize me. The reason? Sudden relapse of her memory, dementia, boredom, fear of losing her independence, or old age… Only God knows! Please understand, there isn’t a single part of me upset about her momentary forgetfulness, it’s just the realization that Alzheimer’s is beginning to win the battle. It’s the terrifying fear of knowing that one day my sweet grandmother may not be able to remember me and our cherished memories. My first glimpse of her, she was sitting against the wall in a dining room chair with a blank, faraway stare… “Grandma!” This woman I’ve loved since before I can remember, looked at me with a confused, yet friendly gaze… Her response, “Your awfully pretty and you seem like your a very nice person, but I don’t think I know you. The words slammed against my heart like a tsunami hitting the shore after a category 10 earthquake. The words hit hard, as it gave a clear indication of her true medical condition. I was sad for her! I was sad for me! But mostly… I was sad for us! Turning my head away to hide the tears filling my eyes, I prayed harder than ever before. “Lord, please let her remember! Please, Lord!” Thankfully a loving look into her deep blue eyes, the eyes that most match my own, seemed to jog her memory. In a gentle voice, I looked into her eyes and spoke into her soul, gently holding her wrinkled hand, as she recognized me. “Grandma, It’s me Crystal. Do you remember me?” As she recalled the memory of me, life breathed back into her eyes and suddenly she sat up a little taller. “Crystal? Did you come all the way here to see me? Is it you my granddaughter?” Joy filled my soul… “Yes, grandma I came to see you, to check on you, and to make sure you are okay!” There are not enough words in the English language to accurately depict the comfort and relief that filled my heart upon her remembrance of me. The two of us found a quiet place in the lobby to spend time together. As we talked I held her hand, as her cognitive awareness jumped in and out, I tried to hide my fears and concerns. My heart ached, as she recalled memories from long ago, as if they occurred only yesterday. Sitting there listening to her thoughts jump in and out of rationality, I found myself wishing for a time machine. I suddenly yearned to go back to the age of 6, even for just a brief moment, to relive the plethora of positive memories surrounding the times spent with my grandmother. The memories flashed through my mind as if I’d somehow pushed the fast forward button; the stories she’d tell me, silly songs she’d sing to me, hats made out of newspaper, the early morning coffee made with 3/4 warm milk and plenty of sugar. One of my most treasured memories is the time she’d take talking to me on the telephone, countless hour long conversations throughout my childhood and well into adulthood. It was a bitter/sweet day, complete with countless memories and the realization that life would never be the same. 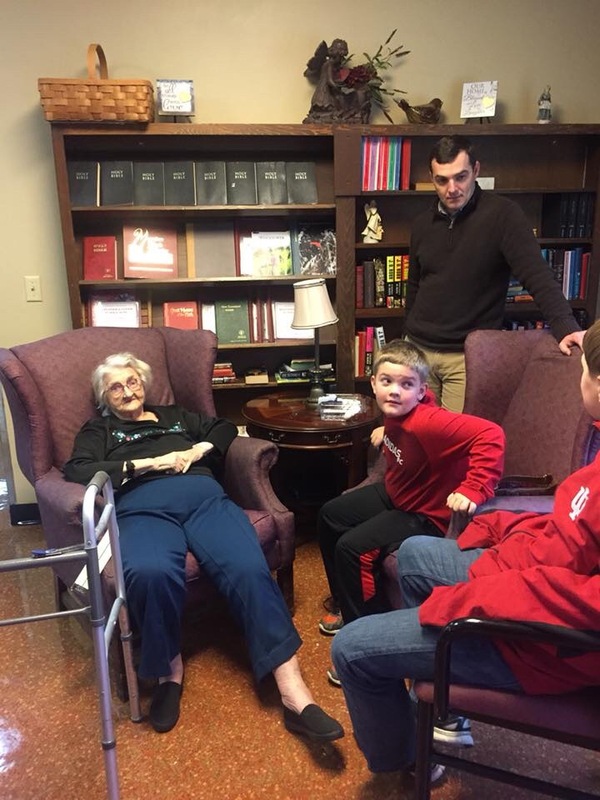 After visiting alone with my grandmother, my four children and husband joined me for the duration of the visit. As each child walked up to give her a hug, a huge smile filled her face, she was beaming with pride and joy; our visit made her day. Upon seeing my 6 year-old little girl, my sweet grandma was overcome with emotion as tears filled the eyes of a woman who rarely cries. I will never know for sure, but I am almost certain her mind was triggered back to 30 years ago when I was a little girl. The afternoon was filled with sweet memories, fellowship, and deep sorrow and grief. My ability to hold my emotions in and maintain a tough face for my grandmother and children, was quickly waning. Saying goodbye… One of the hardest things I’ve ever done. I wanted to carry her out of that nursing facility; I wanted to take her home, I wanted to pretend none of this was happening. I wanted to make it all disappear. Saying goodbye, I kissed her soft cheek and gently hugged her fragile body. As I watched her walk off with a nurse who was holding onto a mesh colored belt around her waste, the ache was real. 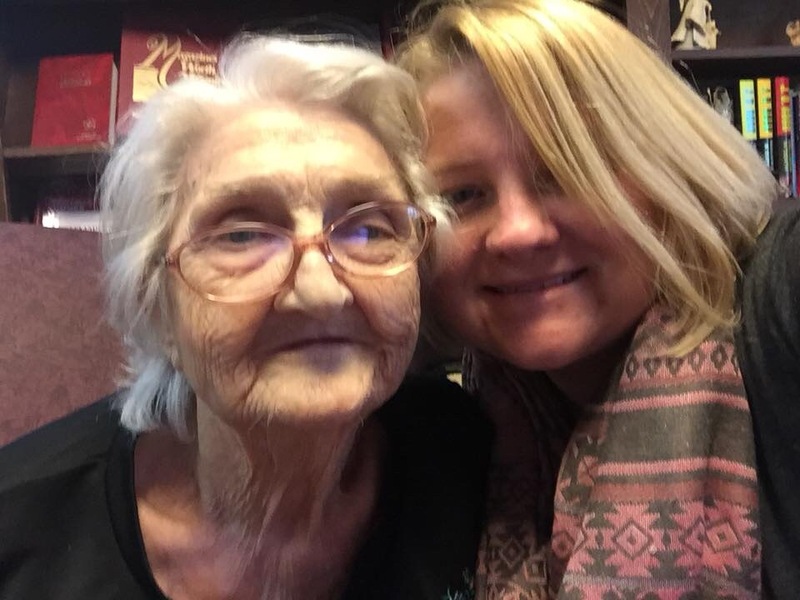 The 39 year bond of a grandmother and her granddaughter is greater than dementia! It’s a genuine connection, complete unconditional love. As she walked away, I know in that moment her heart hurt more than mine, and my heart was breaking into a million pieces. The final leg of the journey was going to her apartment, to retrieve the cherished items she set aside for me. My grandmother lived in the same apartment building in suite 518 for 30 years, a small 500 square foot area that was my childhood safe place. The smell, the familiar objects, the calmness of her home, it all came back to me! Looking through her belongings to gather precious heirlooms, the memories washed over me, and I could no longer hold back the tears. My insides were screaming, I didn’t want to remove a single item! I didn’t want to leave her in a nursing facility! I wanted my dear grandma to remain in her apartment forever! I wanted things to stay the same! Removing her belongings meant forever change, meant she was no longer able to care for herself, it meant my childhood safe place would soon become only a memory. The memories crowded my senses and the momentum almost knocked me down. Love is joyful, comforting, safe, secure, and reliable! Sometimes… Love hurts! Tears fell well into the drive back to Indiana and I couldn’t have made them stop if I tried. It’s all a symptom of having been fully loved, accepted, and cherished by a loving grandmother. Small price to pay… to have been loved so deeply!